Earn $3.19 in Rewards credit (319 points) What's This? 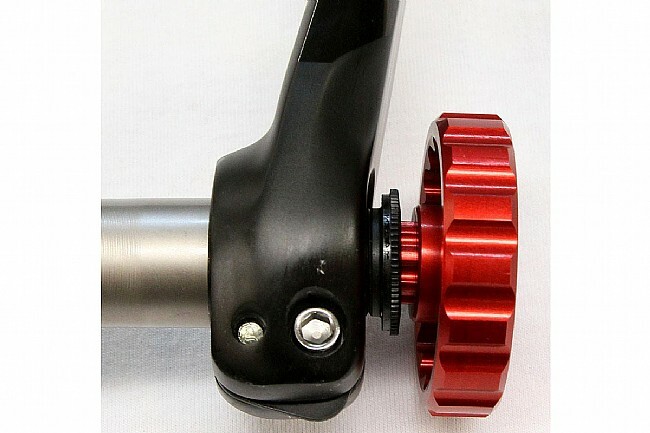 Top-notch notches for installing your bottom bracket. 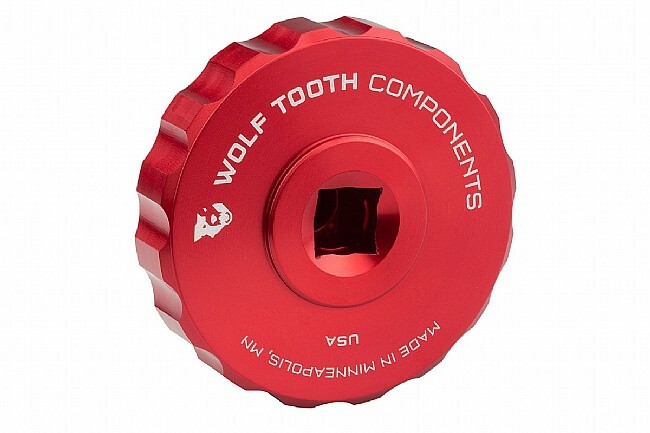 Wolf Tooth Components CNC-machines their bottom bracket tool from 7075 billet aluminum for a precise engagement that won't damage aluminum BB cups. 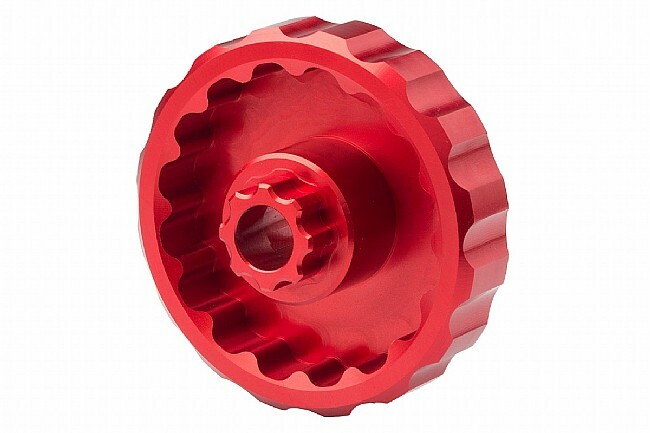 Finger notches on the outside allow you to hand-thread cups to get them started without the danger of cross-threading the BB shell, and a 3/8" socket lets a ratchet or torque wrench finish the job. Compatible with the following external cup bottom brackets (16 notch, 44 mm): most Shimano, SRAM/Truvativ GXP, Chris King, FSA EXO, Race Face, Hope, Campy, Surly, etc. Does NOT fit the following: XTR BB93, Dura Ace BB9000, Ultegra 6800 11-speed. Note: tool is marked with 40 N-m / 30 lb-ft max torque -- this is not the max capacity of the tool, it is just a recommended torque for most bottom brackets. 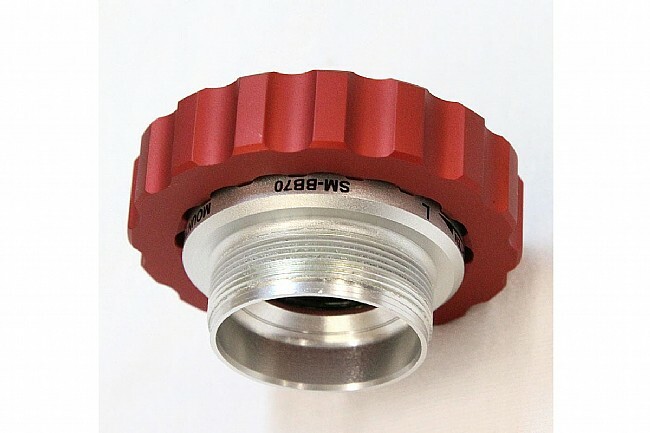 The tool can be used to whatever torque is recommended for your bottom bracket cups. Claimed weight is 74 g.